Making a resume like this while you're online is quick and easy. Note: This template comes with a cover letter, so you'll have everything in one document. 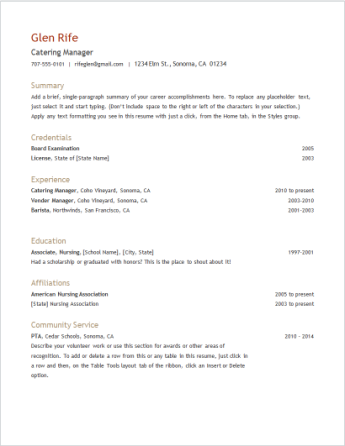 Choose one of our resume templates, and open it in Word Online to make it yours. 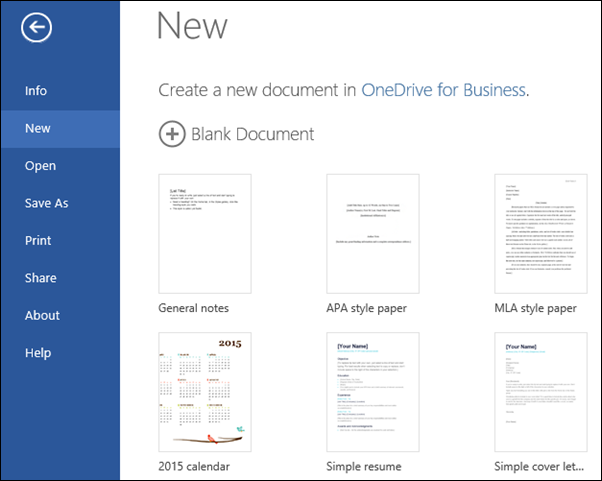 Tip: If you're already in Word Online, get to the resume and cover letter templates by going to File > New, and then below the template images click More on Office.com. You'll be on the Templates for Word page. In the list of categories, click Resumes and Cover Letters. As you work on the resume, you'll probably want to rename it. The template uses a table to line everything up. 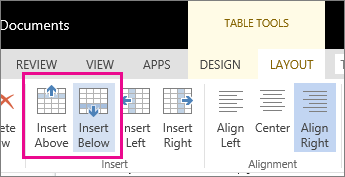 If you need to add more lines for job experience or education, add rows to the table by going up to Layout under Table Tools and clicking Insert Below (or Insert Above). For tips on writing your resume, check out Six steps to developing a great resume. When you're finished, print it out or share it online. You can do this with the resume still open in Word Online. No need to save it first (that's already done for you). To print it, press Ctrl+P, and wait for the Print dialog box. Note: If you don't see a Print dialog box, click the link for opening a PDF version of your resume. From there, use the PDF program's Print command. Tip: If you have a blog or website, you can embed a view of your resume there.